"'Then why did you inherit Kencott Manor?...There was an enfeoffment.'" I'm afraid to try explaining this quote. After reading a few posts about quotes, I wanted to write what is one of my favorite quotes. It is a poem by John Donne. "No man is an island" is the beginning of the poem. The ending is the lines above. I feel the quote means all of our lives are significant and intertwined with one another. If you die, I die a little bit. It doesn't matter whether I know you personally. Your death can hurt me because there is no one who hasn't brought a gift to this earth. Status has nothing to do with it. Ashes to Ashes is the eighth book in a series of Medieval Mystery Novels written by Mel Starr. The main character is Hugh de Singleton. He is a surgeon. In this novel, his search for a solution to a crime begins with bones in a fire in the Midsummer on Saint John's Day. Ultimately more than one person is murdered. Hugh de Singleton goes from Bampton township to Kencott township asking questions. At times he is looked on with suspicion. One time he is nearly beaten to death. There are quite a few scriptural lessons to learn along the way as the trail seems to become colder or stagnant rather than hotter. There is also the mystery bag. This is where problems are put. Then, later prayed upon by whoever owns the bag. I really liked reading about the mystery bag. I had never heard of such a concept. I wondered did the author think of it himself or is it owned in Medieval legends. If I think of Art, I understand this scripture a little bit better. One thing that hits me immediately is it's beautiful and helpful promise from God. In Philippians 1:6, these words are written. "He who began a good work in you will carry it on to completion until the day of Christ Jesus." While walking through the halls of a hospital, I slowed down to look at the different paintings on the wall. Obviously some people had appreciated the care given at the hospital. There way of giving thanks was to donate drawings of grapes, flowers and landscapes to the wing of the hospital. I feel none of those artists would have left their work undone. Probably, they could see its potential of giving beauty to other people. They must have drawn with more enthusiasm as they neared the end of their work. They wouldn't have left their piece of art undone. Now they could see how their work might bring joy to someone else. In England, there is a family. For me, the important ones are Ruth and Maggie and Fraser. Ruth falls in love with a rich boy. He lives in a house called the Big House. After the death of his mother, he shares his heart with Ruth. Ruth's love for him, David, grows. The romance leads to the birth of Maggie, a love child. Unfortunately, Ruth will have to live through many ups and downs. Some of those ups and downs are familiar: the loss of jobs, the death of a husband, Fraser, teen-age growing pains, an absent father and plain old problems with relationships. Little did I realize that God would use Classical music to help my oldest son whether the storms of life and the happy days of life. He began loving this music at a very early age. With a giving heart he passed this love on to the family and many friends. I would like to take time out to say thank you to him. Not only to him but to God. God gives us so many gifts. I am unworthy of receiving any of them. So undeserving and sinful but made deserving by God's righteousness. Hallelujah! It resides in me. In Abiding In Christ by Andrew Murray, there are quite a few scriptures about God's peace. I didn't realize one of Jesus' names is the King of Peace. I have heard it said that the Gospel is the Good News. I didn't get it. This morning I felt joy in learning He became righteousness for me. Andrew Murray describes the gifts receive by abiding in Christ. He is the Vine. We are the branches (John 15:4). I'm in the mood for a little Gospel music this morning. On Sunday I listened to Mahalia Jackson. Wow, no matter that she's long gone from us. Her voice is still unique. It's classic. This morning I might throw in a little Andrae Crouch. He's no longer with us either. Still, you can't go long without hearing "that" voice singing about our trials and Jesus. I was first introduced to Gospel music on WHAT in Philadelphia. My mother listened to Mary Dee on Sundays. Young, I didn't appreciate the Gospel music. I liked listening to Georgie Woods on the same station. He played Motown and other hits. There is a gap where I didn't listen to Gospel music. One of my son's brought it back to me with the singing in Bishop Patterson's church in Memphis. I suppose tracking the routes in my life is a little bit easier if I remember the church and it's music. "Deidre cleared her throat and started snapping her finger. Then she sang Adele's Rolling in the Deep" like the song was written for her. She sounded so good that if she wanted a record deal, she could get one that very day." I love the song sung by Adele. After seeing it mentioned in Tiffany L. Warren's novel, I had to listen to it again. This time I paid more attention to the words. A heart still not dead. pearl seeds in his own hands. May I give them back? half - dead cold hands? 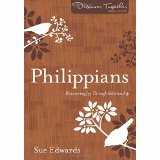 Sue Edwards' PhilippiansDiscovering Joy Through Relationship led me to start a Bible study. I haven't done a Bible study for quite a while. This one is great because it involves a whole book of the Bible. I especially like the fact that it will help me grow in my personal relationships. At the moment, I am studying "humility and self sacrifice." I thought of foot washing services my husband and I use to attend annually. I am happy to have attended these services because there was an intimate involvement with the congregation of the church. There is a quote in the Philippians lesson book. It is taken from Mudhouse Sabbath by Lauren Winner. "Community is, of course, central to Christianity at every life stage--after all, the very life of the Triune God tells us that we are persons only when we are in communion with one another." Paul had faith. While under house arrest, he continued to joy in the Lord. He never forgot that Phillipi was the headquarters of the Roman government. 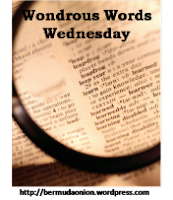 Sue Edwards writes that one of his prayers is simply "beautiful." It is found in Philippians 1:1-11. I think of my life. I spend more time in my house than outside due to a lack of time or not priortizing my time correctly. I am working on making myself take more walks. I want to enjoy the season of winter and the other three seasons. Unfortunately, Paul could not priortize his goals freely. However, he did take control of his mind and use it for God's purposes. He stayed inside this jail and joyfully communed with God in prayer and wrote letters to his friends. More than once I've tried to read an article or a book about the loss of a Black child whether boy or girl. 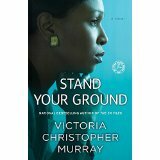 Since I love reading novels written by Victoria Christopher Murray, I knew her book, "Stand Your Ground" could take me to the hard places I didn't want to go. I've never lost a child. Well, one time I had a miscarriage very early. That type of loss, I suppose, is very different from one compared to what parents experience when losing a child due to injustice or a drive by shooting or any number of ways we are familiar with today. Yes, as I think about it. Death comes in many forms and tries our hearts in different and unique ways. 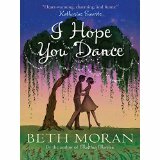 I am writing this just to say the novel is painful. Just enough so that I can feel a little bit of what the character, the mother, Jan, is feeling. I especially identified with her memories of her son as a three year old looking at planes with his dad, Tyrone. This is an anthology of stories written by different Lebanese authors. As no surprise, these war stories were, at times, painful to read. However, some stories were poetic. There is the mention of numbers, the soul, dolls and numbers. 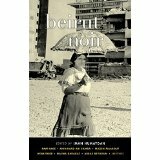 Beirut is also seen as a "companion of death" and as the "city that dances on its wounds." Although those descriptions made me fall back and regroup, I did not want to add the city of Beirut to my bucket list as a place to see.